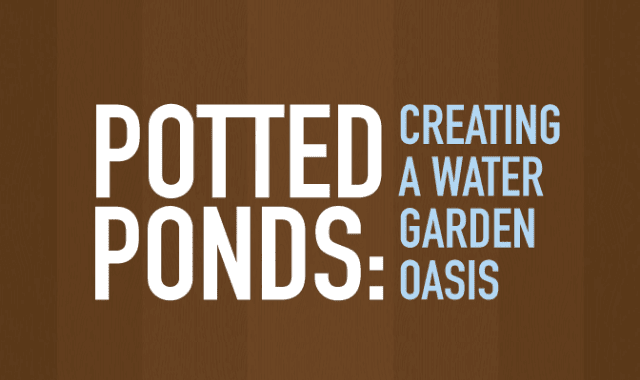 Potted Ponds: Creating a Water Garden Oasis #Infographic ~ Visualistan '+g+"
Most container gardeners grow veggies, herbs, or flowers in their pots and are happy to have a little extra greenery on the balcony, windowsill, or back patio. There’s one type of container garden that is consistently overlooked by beginner and experienced gardeners alike – the potted pond. Potted ponds remove the need to install large water features in your yard or garden, replacing them with small, ornate water gardens that are completely contained in a single pot. They’re versatile, relatively easy to put together, and make for an amazing accent in the garden.